Science in Public’s occasional bulletins to journalists with an interest in science. Predicting whether a firestorm will occur—researchers have created a model now being trialled by the NSW Rural Fire Service. Story plus an amazing photo. Half the world’s population relies on rice, but there’s a lot we don’t know about it—Macquarie Uni scientists working with researchers in Iran and Japan are calling for a global effort to find the thousands of ‘missing’ proteins. Have you seen a sawfish—alive, or on the wall of a pub? Your information can help these scientists help the sawfish. And we have HD footage of a sawfish sensing the electrical fields generated by a fish, then slicing and dicing it. You can read more about each of these stories below, including details of scientists to interview. Australians drink six billion cups of coffee each year but have you ever thought about what happens to the coffee grounds used to make these coffees—which are used only once and then discarded? A Macquarie University PhD student believes he’s come up with a way to turn this coffee waste into biodegradable plastics. “You could use such plastics to make anything from plastic coffee cups to yoghurt containers to compost bags to sutures in medicine,” says researcher Dominik Kopp. Contact Suzannah Lyons on suzannah@scienceinpublic.com.au or 0409 689 543 for more. So far, they have looked at over 2.7 million points on more than 180,000 underwater images of the Reef and told us whether they can see coral, algae or sand. Nine scientists, divers and science communicators are available for interviews. Contact Suzannah Lyons on suzannah@scienceinpublic.com.au or 0409 689 543.
music is powerful for maintaining the memories of people with dementia. These are just some of the stories told in Science Week events, posts and media coverage. There’s more stories and scientists among our highlights for media. Thank you once again for your support of Science Week. National Science Week 2019 will run from 10 to 18 August. 422 events and exhibitions, 22 online activities, and dozens of great stories and talent. The science, songs and stories of the night sky and Indigenous astronomy. Read on for more on these, including event contact details. Launceston: meet some of Australia’s deadliest spiders: exhibition and talk at QVMAG. More than 2,000 events and activities are registered throughout Australia—from Corals in the Outback in Queensland, to events at our Antarctic bases, and from STEM meets dance in Perth to The Innovation Games at Sydney Olympic Park—with everything from science festivals, music and comedy shows, expert panel discussions, interactive hands-on displays, open days and online activities. 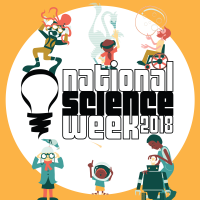 National Science Week runs until 19 August. Media kit at www.scienceinpublic.com.au. Or visit the National Science Week website for the details of events in your area: www.scienceweek.net.au. Have you missed our highlights for specialist rounds? Here they are for The Arts, Environment, Indigenous and Health reporters. Fifty shades of cray: what does a male fiddler crab do with his enlarged claw? Scientists are tricking superbugs into gobbling up the bacteria-equivalent of poisonous chocolate. Dr Katharina Richter and colleagues from the University of Adelaide have begun the first human trials of the treatment at the Queen Elizabeth Hospital. They’re looking for patients with antibiotic-resistant sinus infections. Adding whole grains to chicken food boosts meat production efficiency and could improve global food security. It’s also likely to be good for backyard chickens, says Sydney scientist Amy Moss. Amy’s research at The University of Sydney’s Poultry Research Foundation showed that replacing some of the ground grain in chickens’ feed with whole grain both improved their digestion and how efficiently they produced meat. Amy is available for interview and is presenting her research at the 29th Australian Poultry Science Symposium, which starts in Sydney on Monday 5 February. She’s the NSW winner of Fresh Science 2017—our national competition helping early-career researchers find, and then share, their stories of discovery. We’ll be sharing the other winners’ stories via this bulletin in the coming weeks. Nobel Laureate Steven Chu launches new institute at UTS – 9.30 am Friday 2 February 2018, UTS Great Hall (Building 1). Instant results at home, at the surgery, and at the bedside for every major medical test. That’s the vision for a new research institute at UTS. They plan to use quantum dots and other nanotech to make small, inexpensive diagnostics as simple to use as a pregnancy test and as ubiquitous as smartphones. And with their technology the human eye can now watch a single molecule at work inside a living cell. Want more Stories of Australian Science? Using drones to protect swimmers (and sharks); tracking space junk; detecting toxic algal blooms in Tasmania, China, and France; using silk to repair damaged eardrums; stopping people going into floodwaters; and more. Each year we pull together a publication with some of the highlights in Australian science from the year. We’ve just published all the stories from 2017 online (along with our previous collections) at www.scienceinpublic.com.au/stories. You can filter by state, discipline and organisation, as well as search by keyword. If you’d like to speak with any of the scientists, feel free to contact them directly or we can help you make contact. If you’d like a hard copy of the publication let me know and I can post some to you. Do your colleagues like science stories too? We send updates like this every couple of weeks with science news and talent from around Australia. Perth researcher Elizabeth Rakoczy led the world’s first human gene therapy trial for wet age-related macular degeneration (AMD), a leading cause of blindness in the elderly, which affects 112,000 Australians. Elizabeth has developed a process to turn eye cells into bio-factories, making their own medication on the spot. This gene therapy uses a modified virus to carry a gene into cells in the eye, replacing the need for frequent, painful and costly eye injections (~$2,000 each; six to eight per year). She will receive a $50K prize and the CSL Florey Medal for lifetime achievement at the annual medical research dinner at Parliament House in Canberra on Wednesday. And we’ll have stories on our Fresh Scientists from SA, WA, NSW, and VIC in January/February. This gene therapy uses a modified virus to carry a gene into cells in the eye, replacing the need for frequent, painful and costly eye injections.·Elizabeth led the world’s first human gene therapy trial for wet age-related macular degeneration (AMD), a leading cause of blindness in the elderly. Past CSL Florey Medallists include Graeme Clarke, Ian Frazer, and Nobel Laureates Barry Marshall and Robin Warren.Elizabeth Rakoczy is modifying viruses to use their powers for good. She’s created a new gene therapy for wet AMD that is reversing vision loss in clinical trial patients. Her treatment means one injection instead of several per year. “Professor Rakoczy is a quiet achiever, a world leader in gene therapy, and a key contributor to advancing international eye research,” says CSL’s Chief Scientist, Dr Andrew Cuthbertson. “In winning the CSL Florey Medal, Professor Rakoczy joins an elite group of Australian medical researchers who have followed in the footsteps of Howard Florey,” says AIPS director Camille Thomson. We’ve got scientists available for interview, plus full release, background information and high res images. And a feature story by lead author Ian Wright for The Conversation here. For the first day of Spring, we’ve got a global team of researchers who have cracked the mystery of leaf size. Their research was published today as a cover story in Science. Associate Professor Ian Wright from Macquarie University, with 16 colleagues from Australia, the UK, Canada, Argentina, the USA, Estonia, Spain, and China analysed leaves from over 7,600 species. They teamed that data with a new theory that in much of the world the key limiting factor for leaf size is night temperature and the risk of frost damage to leaves. Until now, the textbooks said it’s a balance between water availability and overheating. 446 events and exhibitions, 23 online activities, and dozens of great stories and talent. Can science make the world’s most liveable city even better? Are your genes your destiny? Gattaca 20 years on. What can we learn about ancient astronomy from Mayan ruins? Ask an expert from Honduras. Teaching students to spot the bull science. Meet the science writer who turned 13 sea voyages in three years into a book and a play. And hear from her on science, journalism and telling the stories of climate change. 448 events and exhibitions, 22 online activities, and dozens of great stories and talent. Wildlife forensics: meet the scientist using genetics to fight illegal wildlife trafficking. And the man who can tell how long you’ve been dead by looking at your bugs. Botany distilled: the best plants and science for making your favourite alcoholic drink. Raiding nature’s medicine chest: chemistry saving lives and creating jobs. New MacDonald has a drone: how science and new technologies are changing farming. What did a voyage to Antarctica tell us about women in science? Meet the scientist studying the scientists. 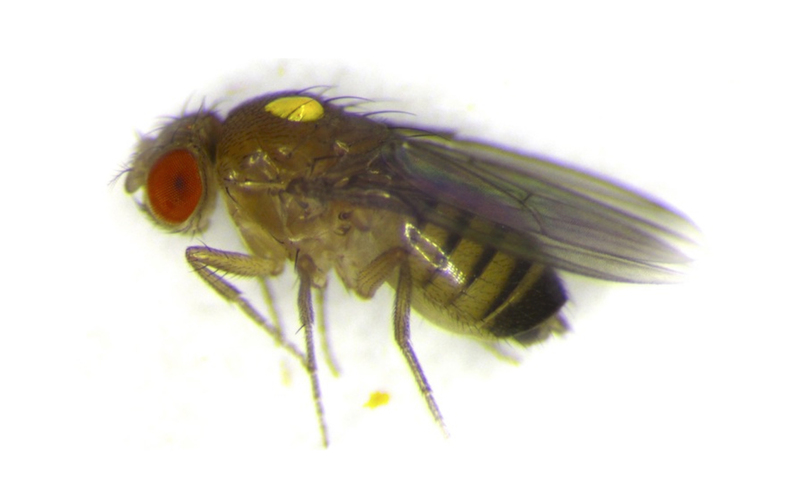 Fluorescence: from forensic science to highlighter pens and spinach. Sydney chemist Elizabeth New reveals all. 476 events and exhibitions, 22 online activities, and dozens of great stories and talent. National and international talent, researchers, experts, and other interesting people available for interview around the country. Send kids through the STARportal towards science skills and careers—launch of this Australian first with Chief Scientist, Minister, and students. Madhouse Effect: international experts explain what’s really stopping action on climate change. Ask the Interstellar visual effects wiz how to make a black hole on the big screen believable. Is there an evil weevil lurking in your pantry? Biosecurity agencies want your help. Ask evolutionary biologist Monica Gagliano about the secret language of plants. Art-science experiences in the tropics, and a science slideshow on steroids. Battle of the brains: who is Adelaide’s best, brightest, and funniest physicist? 454 events and exhibitions, 21 online activities, and dozens of great stories and talent. Unlikely heroes: Could worms halt Multiple Sclerosis? Could honey fight superbugs? Politicians get a grip (test): HealthLAB visits Parliament House.